Manhattan College is committed to providing access to information that will allow students, parents, counselors, and other constituents to make informed decisions about postsecondary education. This webpage is a single access point to consumer information noted in the Higher Education Act of 1965 and amended by the Higher Education Opportunity Act of 2008 (HEOA). Expand any area below (click +) to display links to documents, policies and other informative web pages. The information provided here and other linked information serves to provide the required disclosures under the Student Right to Know Act (Public Law No. 101-542 20 U.S.C. 109) and its implementing regulations 34 C.F.R. 668.41; 34 C.F.R. 668.45 & 34 C.F.R. 668.48 and the Equity in Athletics Disclosure Act (20 U.S.C 1092(g); 34 C.F.R. 668.41, 34 C.F.R 668.47). Information is also disclosed through the College's annual filings with the U.S. Department of Education National Center for Education Statistics through itsntegrated Postsecondary Education Data System (IPEDS) system. View the Manhattan College data here. 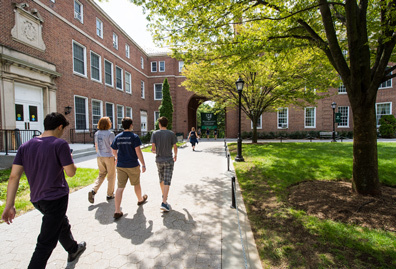 Manhattan College is a member of the National Association of Independent Colleges and Universities (NAICU). 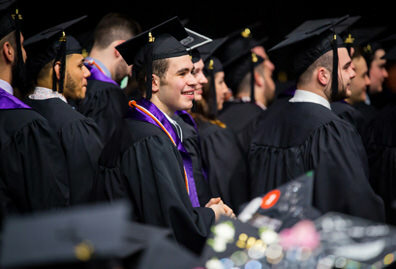 In compliance with the U.S. Department of Education Gainful Employment Rule, the College has provided a list of its non-degree certificate programs: Gainful Employment. Manhattan College and the New York College of Podiatric Medicine (NYCPM) sponsor a joint articulation program in podiatric education. Interested students must apply early in the fall semester of junior year and must take the MCAT no later than April of their junior year. An overall undergraduate GPA of 3.0 at Manhattan College and official MCAT score at least equal to NYCPM’s current minimum is required. The curriculum of the combined B.S./D.P.M. program requires the completion of at least 90 credits at Manhattan College. The student enrolled at NYCPM requesting transfer credits must complete each firstyear course with a grade of “B” or higher in order to be awarded a bachelors degree by Manhattan College. The D.P.M. 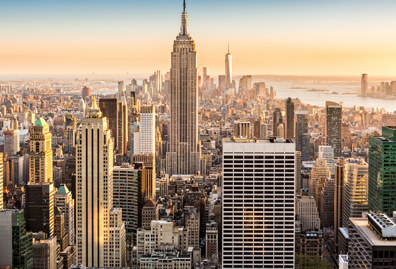 degree will be awarded upon completion of the seventh year of study at NYCPM. Final admission to the program resides with the Admissions Office of the NYCPM. Manhattan College and St. Thomas Aquinas College (STAC) have an articulation agreement for a 3-2 degree program in Mathematics and Engineering. St. Thomas Aquinas College awards a B.S. with a major in Mathematics after 3 years of successful study at STAC and 2 years of successful study at Manhattan College. Manhattan College awards a B.S. in Engineering upon successful completion of the 5th year of the program. Students must earn a minimum C grade in all STAC courses to be applied towards the Manhattan College degree and maintain at least a 2.5 cumulative GPA. A complete listing of the Program of Studies is available through the Office of the Dean of Engineering. Manhattan College complies with the Age Discrimination Act of 1975 42 U.S.C. 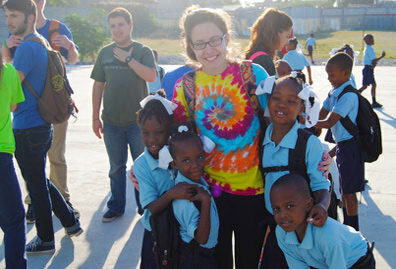 §§ 6101-6107 and does not discriminate based on age in its educational or academic programs or activities that receive federal financial assistance. Manhattan College will not retaliate against any individual for filing a complaint with the Office of Civil Rights or for advocating for any rights protected by the Age Discrimination Act. Manhattan College complies with the Americans with Disabilities Act 42 U.S.C. §§ 12101-12213 and provides for nondiscrimination protection in employment, educational services, and accommodations for individuals with disabilities. 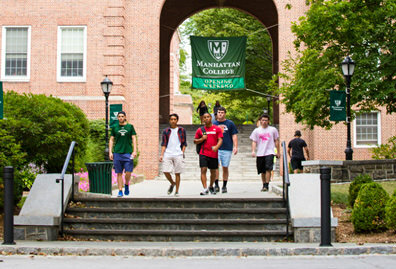 Manhattan College provides for reasonable accommodations to allow a qualified person with a disability to participate fully in the educational or academic programs and activities of the College. Manhattan College complies with the Higher Education Opportunity Act Public Law No. 110-315 and will disclose information to current and prospective students about any plans to improve its academic programs on an annual basis. Manhattan College’s School of Education and Health reports annually to the New York State Education Department and posts for the public the pass rate on state teacher certification examinations taken by its graduates. The data provided is program-specific information concerning candidate performance on the New York State Teacher and Leader Certification Examinations between September 1st and August 31st of a particular reporting year. In order to ensure the confidentiality of personally identifiable information, results for examinations taken by fewer than ten (10) people have been suppressed if a 100% pass rate was not attained. This page contains the passage rates for each of the following certification examinations; the Teacher Performance Assessment (edTPA), the Academic Literacy Skills Test (ALST), the Educating All Students (EAS) exam, the Content Specialty Exam (CST) and the School Building Leadership (SBL) exam. The data for the edTPA is displayed by content area (childhood, secondary or physical education). The "Percent Passed" column shows the percentage of test takers who passed the examination during this period out of the total number of test takers who took the exam during this time period as provided in the "Number Tested" column. Manhattan College meets the Requirements of Affiliation of the Middle States Commission on Higher Education as published in Characteristics of Excellence: Requirements of Affiliation and Standards for Accreditation (12th ed., 2006). Manhattan College is accredited by the Middle States Commission on Higher Education (MSCHE) to award Bachelor’s and Master’s degrees and Post-baccalaureate and Post-Master’s certificates. Manhattan College’s accreditation was reaffirmed by MSCHE on June 28, 2012 following an extensive self-study process and site visit. Manhattan College has been accredited by MSCHE since 1921. Middle States accreditation instills public confidence in institutional mission, goals, performance, and resources through its rigorous accreditation standards and their enforcement. MSCHE is the regional accrediting agency recognized by the U.S. Secretary of Education and the Council for Higher Education Accreditation. View Manhattan College’s Statement of Accreditation Status. Manhattan College’s approved degree and certificate programs are listed on the New York State Education Department – Inventory of Registered Programs (select Search for programs by Institution then enter 439000 Manhattan College to view by Program Title). This data is also available at the NCAA website by selecting Manhattan College from the dropdown menu for schools. Freshmen Cohort Graduation Rates (2009-10 Graduation Rate) This report gives graduation information about students and student-athletes entering in 2008. This is the most recent graduating class for which the required six years of information is available. The report provides information about student-athletes who received athletics aid in one or more of seven sports categories: men's basketball, baseball, men's track/cross country, men's other sports and mixed sports, women's basketball, women's track/cross country and other women's sports. For each of those sports categories, it includes information in six self-reported racial or ethnic groups: American Indian or Alaska Native, Asian, Black or African-American, Hispanic or Latino, Native Hawaiian or Pacific Islander, nonresident alien, two or more races, White or non-Hispanic and unknown (not included in one of the other groups or not available) and the total (all groups combined). The College's Annual Security Report (ASR) is available at manhattan.edu/security. As of February 17, 2017, Manhattan College is a member of the National Council for State Authorization Reciprocity Agreements (NC-SARA) http://www.nc-sara.org. The College has been approved by New York State to participate in NC-SARA which is a voluntary, regional approach to state oversight of postsecondary distance education. This enables the College to offer its distance education programs in all 47 NC-SARA approved states. The College is separately authorized in the other 3 states – CA, MA, FL. No Federal student aid funding under the Higher Education Act of 1965 (20 U.S.C. 1001 et seq.) has been used to hire a registered lobbyist or pay any person or entity for securing an earmark. (1) The awarding of any Federal contract. (2) The making of any Federal grant. (3) The making of any Federal loan. (4) The entering into of any Federal cooperative agreement. (5) The extension, continuation, renewal, amendment, or modification of any Federal contract, grant, loan, or cooperative agreement. Manhattan College has signed the U.S. Department of Defense Memorandum of Understanding (MOU) and an intent to comply memo was submitted to the Veterans Administration regarding Executive Order 13607. 1 .Prior to enrollment, provide students a personalized form covering the total cost of an educational program i.e., Program costs, student debt estimates, and Federal financial aid options upfront. a. Manhattan College does not support or condone fraudulent and aggressive recruiting practices for any students. The College will continue to uphold its high ethical standards for recruiting. 4. Provide accommodations for service members and reservists absent due to service requirements. a. Manhattan College understands the pressures of deployment and will make reasonable accommodations for individual deployment situations. 6. Manhattan College has established a Committee for Veteran's Affairs which offers services and contacts available for veterans. The Higher Education Act Amendments of 1998 requires Manhattan College to make voter registration forms widely available to its students. Follow the links below for more information and/or voter registration forms.